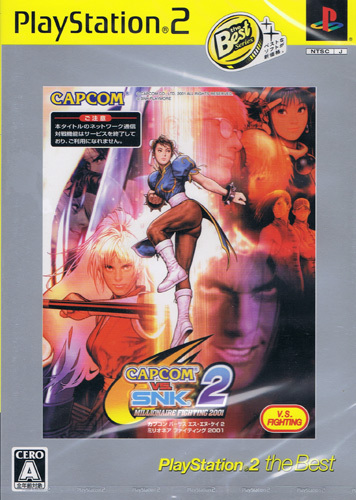 The last major release for the Dreamcast fittingly upgraded to be preserved on the PS2 by Capcom. 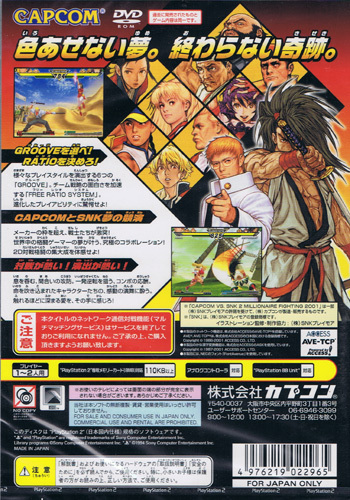 Additional guests appearing from Samurai Spirits, Last Blade and SFIII along with a welcomed return to six button controls. Slickly presented as you'd expect from Capcom. 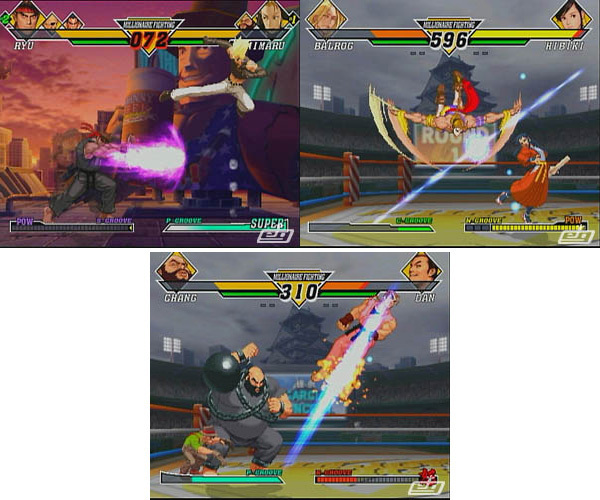 Graphically Capcom grips the PS2 architecture as efficiently as it did with the Dreamcast to squeeze it for all its worth proving its Black Belt mastery of the system. Gameplay is just as fluid as you'd expect with satisfying rewards for the joypad dexterous. Second hand. Please note this is the Best version. Couple of slight manual cover impressions.